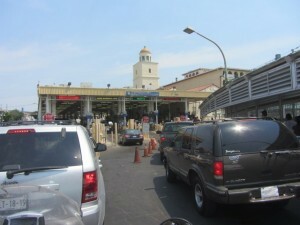 April 28 we crossed from Nuevo Laredo Mexico to Laredo Texas. The border crossing was manic with hundreds of Mexicans crossing on foot to shop in Texas. Once we got to the Homeland Security office the paperwork didn’t take long and we were in the USA – yippee. 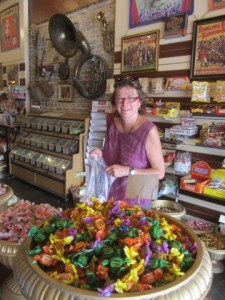 First stop was Corpus Christi, a windblown town on the Gulf of Mexico. 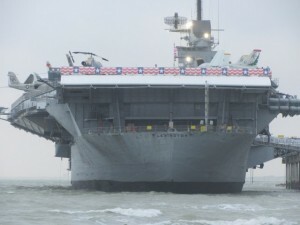 It is home to the massive aircraft carrier, the USS Lexington. Hang on to your hat when you venture on to the deck. We got a fascinating insight into life on board during the war, particularly when it was attacked by a Kamikaze pilot. We travelled north to Georgetown to stay with Ron DeLord and his wife, Brenda. Ron is an advocate for police across Texas and a good friend to police in Australia. 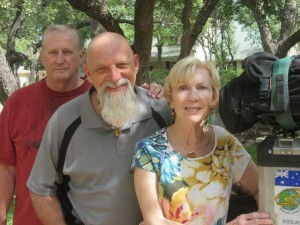 The Texan hospitality is renowned and Ron and Brenda didn’t disappoint. We went to bars, candy stores and diners. We were just about killed with kindness. After a couple of days getting the bike right and wining and dining we headed south to New Braunfels to meet up with our great friends Phil Bangham, and Ian, Sylvia and Sarah Marr. 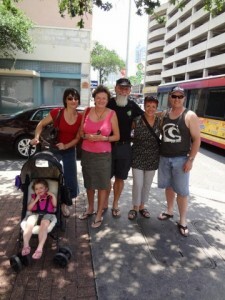 They timed their US adventure to coincide with our arrival in from South America and flew to Texas to meet us. Homesickness is a terrible affliction and seeing these buddies was just the ticket to lift our spirits. For two days it was just us. We sat around and tried to catch up on the seven months since we left. Skype is great, but there is nothing like a face to face chat with a cold drink in hand. We all headed north again to Austin to take part in their Ride for the Fallen, a motorcycle ride to commemorate Texas law enforcement officers killed in the past 12.